Gentian Violet: What is it about the rains? What is it about the rain that makes one so happy and lonely and eloquent, all at the same time? Rainy mornings send sparks of anticipation down your spine, with a tiny secret smile and a light restlessness surging through the body. You cannot deny the feeling that something wonderful is about to happen to you, soon. There is just something about the cool humid air lightly touching your face, carrying with it those drops of rainwater, and the smell of wet earth thick in your nose, that slows down your heart, exuding an air of calm, and simultaneously takes your mind into an overdrive of sensations. You're thinking all these millions of tiny little thoughts, all so separate and unrelated and yet all intertwined and tangled up; a mess, which you would love to roll about in forever. There's something that pulls you to the window to look at the world in shades of gray and green, with deep, pensive eyes. 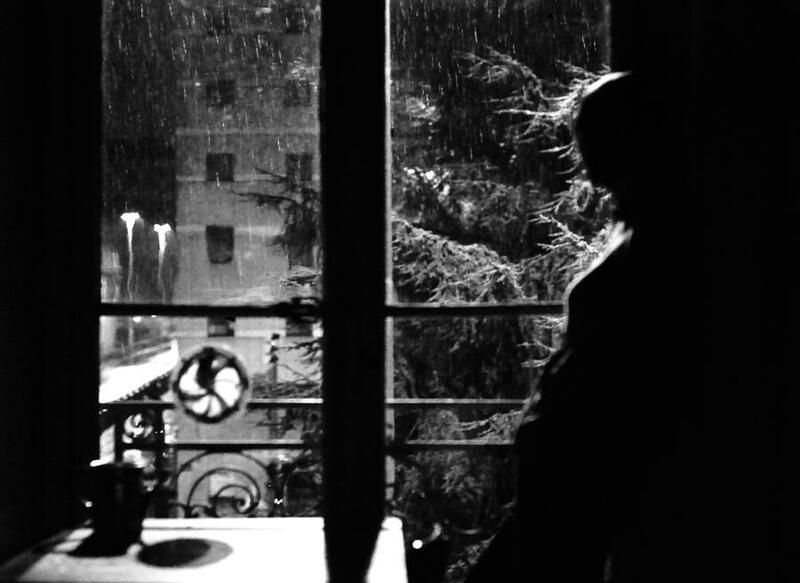 Something that makes you want to be so in love and also entirely alone, and just stand still, in time, at that window. No life, no chaos, no deadlines, no rules; no big dreams, no promises, no broken hearts. Just you, your heart, and the rain. And stillness. The stillness, it lets you concentrate on the pitter-patter of falling drops on the tin roof outside; on the water droplets sticking to the glass panes and then dripping down, slowly, and falling off; on the green leaves on the tree outside, shivering under the barrage of water; and on the lone man walking down the street hugging a parcel to his chest and slouching under a broken black umbrella. All these details, which you would otherwise be blind to, suddenly just seem to draw you in, while the sound of the rain lightly haunts your conscience. Just what is it about the rain, that makes all your life disappear while it falls, and makes a whole new universe unfold around you, while you look on with the over-awed, uninitiated, eyes of a newborn? What is it that makes all those details in the rain so much more important than your life goals and pressing chores and the next deadline waiting to be met? And then as soon as the rain stops and the sunshine starts streaming in, it's like you wake up from your dream, and lose all memory of what happened, and go back to the mundane robotics of everyday! It's like some dark magic! Witchcraft! Sorcery! It's like a dream that was given to you only to be woken up from, or a blessing that was given to you along with a fixed, cursed ending. I can never win, with the rains, try as I may. I can never make them stay. I can never make myself remember and retain how they made me feel. And believe me, I try. I try with all my might, little as that may be. But life always takes precedence in the end, and, sooner or later, the sun always comes up. I guess I never will know what is it about those danged rains... till the next time they come around to my window. Then, once again, I will attempt to solve their mysteries. I love the rain, it is cleansing, it is renewal, it is the times families huddle together keep warm with conversations of remember when, it is memory making, capturing of intimacies, love and pleasure, hot chocolate, warm baths and good loving. Change begets new opportunities for survival, if the current situation is suboptimal and the rains are a near perfect concoction of such changes. Which is why the mind wanders towards it. Besides the color, sound, smell and the feel of environment that change, motion captures our brain the most, let that be the falling droplets of water or any other form of precipitation. Perfecto! so beautifully you have captured the entirely inexplicable, not to mention contradictory collage of emotions one feels,trying to decode life or whatever that is we do, while soaking the gorgeous rainfall..currently im busy trying to figure why i cnt feel tht magic this season :( perhaps i need a trip to ganeshpuri..most well spent rainy season ever!!!!! btw, have u heard 'coming back to life' by pink floyyd.. thats my eternally favorite song when it rains.. listen to it.. it may take a while to grow on u.. and absolutely outstanding lyrics. here are my thoughts on rain..i am sort of in love with that overrated crap so..
Did you know that you can create short urls with AdFly and receive dollars from every visitor to your short links.